It’s an island as beautiful as its lyrical name–Kiawah. On the sun-drenched South Carolina coast, just 45 minutes from the enchanting city of Charleston, lays one of the nation’s most beloved barrier islands. A dazzling, miles-long beach, deep green foliage, massive, centuries-old hardwoods, sparkling marshland leading to the horizon, a dizzying array of birdlife, amidst all manner of flora and fauna. And then there’s the golf. Kiawah Golf first came to the public’s consciousness back in 1991, when its bellwether Ocean Course served as host venue for the 1991 Ryder Cup Matches, remembered to this day as among the most thrilling golf competitions ever played. Now a generation later, Kiawah and the Ocean Course return to the spotlight as the host of the 2012 PGA Championship, the first Major Championship to ever be contested in the golf-mad, golf-rich state of South Carolina. Veteran golf and travel writer Joel Zuckerman shines the spotlight not only on the incredible Ocean Course, but the remaining quartet of wonderful courses at the Kiawah Resort and the pair of aces at the Kiawah Island Club, among others. Also within these pages there are profiles of some of Kiawah’s most significant individuals and some of the most celebrated golf names in the rich history of Charleston. There is also historical perspective within the text—of the island itself through the centuries, of the PGA Championship through the preceding decades, and of the monumental Ryder Cup that first raised Kiawah’s profile among golf fans the world over. 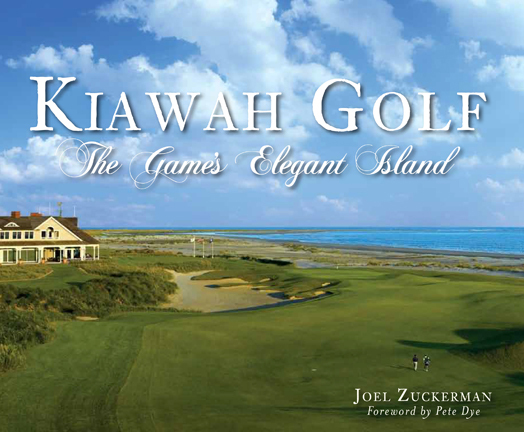 In words and images, Kiawah Golf—The Game’s Elegant Island, is a must-read for anyone who loves Kiawah or loves golf, and truly—don’t the two go hand in hand?